​​The flu vaccine should be given to everyone 6 months and older, as it is the best option for protection during the upcoming season, according to the American Academy of Pediatrics. The annual flu vaccine significantly reduces a child's risk of severe influenza and death. During the 2016-17 season, more than 100 U.S. children died of the flu, and thousands more were hospitalized for severe illness or complications from the virus. Historically, more than 80% of children who died of influenza were not vaccinated. ​"Getting a flu shot as soon as the vaccine is available in your community should be on every parent's checklist, along with other back-to-school routines," said Flor Munoz, MD, FAAP, co-author of the report. "We know that the flu should not be taken lightly. Everyone in the household, including pregnant women, grandparents, and child care providers, should be vaccinated to help prevent its spread." In addition, antiviral medications are important in the control of influenza, but are not a substitute for influenza vaccination. 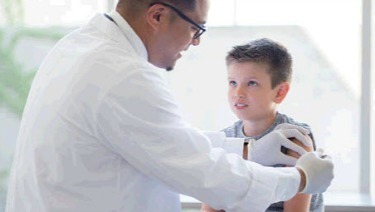 Pediatricians should promptly identify children suspected of having influenza for timely initiation of antiviral treatment, when indicated, to reduce morbidity and mortality. "Clinical judgment is an important factor in treatment decisions for children who present with influenza-like illness," said Dr. Bernstein. "The best results are seen when treatment is started within 48 hours of symptom onset."